Superbe maison de Sausalito avec de superbes vues et Services. Cette belle et décorées avec goût la maison dispose de 2 chambres et 2 salles de bains. Profitez d'une vue panoramique sur le mont Tamalpais tout le chemin à Tiburon. Niché dans les collines de Sausalito, cette maison est à moins de 5 minutes du Golden Gate Bridge. Une promenade modérée au centre-ville de Sausalito permet un accès facile aux clients le meilleur que Sausalito ou San Francisco a à offrir. La maison est entièrement meublée avec toutes les commodités, on peut avoir besoin. De câble HD TV dans toutes les chambres pour libérer WiFi, vous pourrez toujours en contact. Profitez de la grande cuisine équipée avec Wolf Range et réfrigérateur Sub Zero. Juste à l'extérieur de la cuisine se trouve un barbecue à gaz prêt pour le tir. Prenez le petit déjeuner ou le déjeuner dans la cuisine, qui comprend un coin repas et un grand coin salon, ou profiter d'un dîner dans la salle à manger tout en appréciant les vues avec un feu dans la cheminée. Les clients pourront profiter des chambres spacieuses avec de très confortables lits de type Tempur-Pedic. La chambre principale dispose d'une pleine promenade dans le placard, spa comme salle de bains avec grande baignoire et douche, chauffage au sol, et l'accès au pont avant et pont arrière avec un bain à remous. La chambre d'hôtes dispose d'un accès à la plate-forme arrière et a accès à la salle de bains avec douche complète. Il y a un lock-out unité supplémentaire en bas, qui comprend une salle de bain complète et un lit king size (disponibilité limitée). Cette unité peut être disponible sur demande. En outre, il y a une salle de bain complète avec laveuse et sécheuse. L'allée correspond à deux voitures confortablement, ainsi qu'un grand parking de la rue qui est une rareté à Sausalito. Cette propriété est pas une maison du parti. Nous ne louerons pas pour des événements ou des occasions spéciales qui impliquent plus d'invités que convenu. Sausalito est le refuge idyllique pour les familles qui veulent profiter du meilleur de la vie Bay Area. Une très courte distance du centre-ville de Sausalito et les ferries, ce qui est une excellente façon de voir le Golden Gate Bridge et San Francisco. Prendre un ferry vers l'île Ange ou Alcatraz ou tout simplement profiter des restaurants incroyables qui Sausalito a à offrir. Cette maison est prête à gâcher ses prochains invités avec un séjour confortable et mémorable à Sausalito souhaitable. Nathan’s house is fantastic. Everything about our stay was perfect. Nathan’s home was absolutely perfect for our family of five. Amazing views from the front porch. A nice hot tub under the stars. Perfectly appointed home with all the amenities and Nathan was a terrific host. We can’t say enough nice things about this house and our experience. Five stars, A+! Thank you so much Nathan for sharing your beautiful house with us. Nathan was great, the house is exactly as presented, great views, easy ride into town, just an excpetional experience. It was stunning in Sausalito! We had a great stay, the property was amazing...has very nice amenities and wonderful space for our family! We enjoyed meeting Nathan and felt right at home in this space. It was wonderful driving back across the bridge out of the city and staying in a quiet, peaceful area after our days of exploring. We highly recommend this property and are glad we stayed here as part of our California adventure! A well situated, well maintained, and handsome looking house! We had a fabulous stay at Nathan’s house. It was very clean, high quality, and inviting. We really enjoyed the hot tub, especially due to Sausalito’s very cool evenings and all the lush green surrounding. The location was close to freeway and also pretty close to Sausalito downtown. Highly convenient. Thank you! This property is stunning and better in person. Photos can’t do it justice. Nathan is the ideal VRBO owner. The house is incredible and immaculate. The highest compliment I can make is that Nathan makes you feel like you’re staying at a friends house...a close friend ...whom you’ve never met. That’s how perfect our stay was. Nathan is prompt, on time and highly responsive. The kitchen in the house is a true ‘chefs kitchen’ and every room beautifully appointed, comfortable and usable. Nathan clearly ‘over delivers ‘ on expectations and highly recommend his property. My wife, 19 year old son and his girlfriend, and our 4 year old son spent just over two weeks stating at Nathan’s family home in Sausalito. We are from London, UK, but have vacationed several times in the Bay Area/Sonoma/Napa region so we know the area well but usually stay in hotels in either San Francisco or Sonoma. We wanted a well-appointed, comfortable, and well-positioned home to use a base for day trips as well as a place to just relax which we could call home for the duration of our stay. The booking process and the check-in and check-out processes were very efficient and well-organised. Nathan handled everything from the initial enquiry, answering a couple of queries through to the check-in/check-out quickly and efficiently. 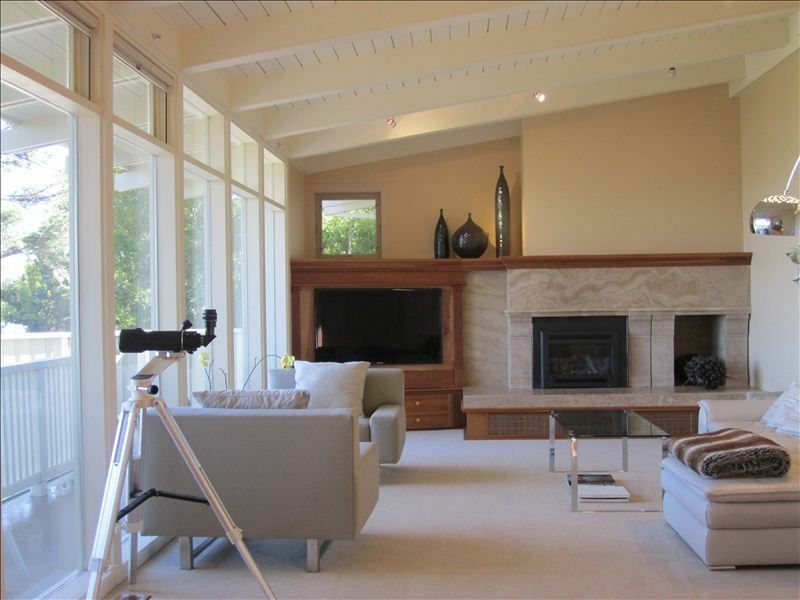 The property is beautiful, spacious, well-positioned, and well-appointed with wonderful panorama views from Mount Tam round to Tiburon. The property had everything we needed to make our stay comfortable and relaxed. All the furnishings, bed linen and towels were of high quality and all the rooms were extremely well-appointed, comfortable and spacious. It truly felt like a home away from home and we were never on top of each other during the entire stay. The property is situated high on the hill above Sausalito in a very peaceful, quiet and safe neighbourhood but only a few mins drive (20 mins walk) to the centre of Sausalito. Apart from all the delights and amenities on the doorstep in Sausalito itself, the property is well-located for access to all the main visitor destinations: San Francisco (by ferry, car or bike – or even running according to my son), the Marin Headlands, Mount Tam, Stinson Beach, and Muir Woods, are all just a short distance away. In fact, the Morning Sun trailhead is only five minutes’ walk from the property and from there one can walk all round the Marin Headlands from Golden Gate Bridge to Fort Cronkhite and the Marin Headlands Visitor Centre. The Bay Area Discovery Museum at Fort Baker is five minutes’ drive from the property and is an ideal day out for those with children under the age of 10. In addition, the property is well-positioned for day trips to Sonoma, Napa, Healdsburg, and even further destinations such as Santa Cruz, Monterey and Medocino/Russian River Valley are all possible as day trips. I even did Clearlake via Sonoma on the motorbike. Would we stay again? Yes, absolutely. HOLIDAY PRICING- For ALL Holiday weeks, rate is $650/night AMERICA'S CUP- We still have openings for America's Cup!! Reserve your week(s) now. Contact for rates.